There is good news and bad news about visiting Venice. The good news is that the breathtaking historic center—more an open air museum than a city—is quite compact and so easily navigable by foot (or boat) that two days of exploring are enough to sample much of La Serenissima’s elegance and romance. The bad news is that this same compact center means that the crowds of visitors drawn to this unique city are concentrated in a relatively small area and hard to avoid. Follow Maria’s advice and “just put blinders on and enjoy the sights”; you will soon be so absorbed in the stunning architecture, iconic gondolas, and fascinating everyday logistics of life in a city of canals that the tourists will fade into the background. Arrival in most cities is largely unremarkable: crowded airports or train stations, or anonymous taxis speeding through a tangle of suburbs. 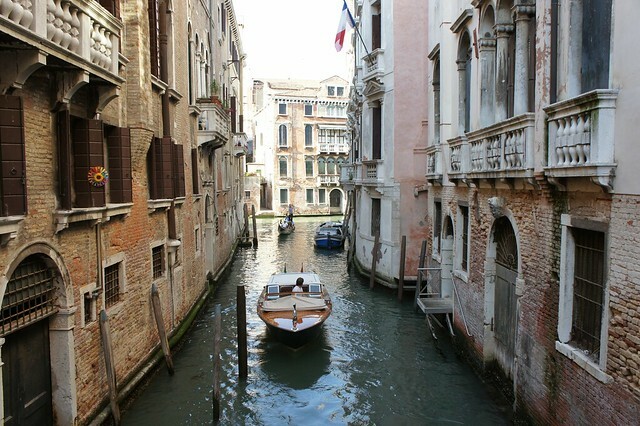 Arrival in Venice, however, will likely take your breath away. The city’s historic center is built on more than 100 islands in the Venetian Lagoon about four kilometers off the coast of Northern Italy, and connected to the mainland by the Ponte della Libertà causeway. You will cross this bridge if you arrive by train, bus, car, or land taxi, but once you have reached Venice proper there is more or less only one way to get around: boat. Whether you’re taking a vaporetto (Venice’s answer to public transportation) or private water taxi, gliding into the center of Venice along the Grand Canal is one of the most unforgettable moments in any trip, so make sure you are ready to fall in love with Venice before you’ve even reached your hotel. Venice has a long and proud tradition of the aperitivo, so it’s only fitting that you acclimate yourself immediately to the city by taking part in this delightful local social event. 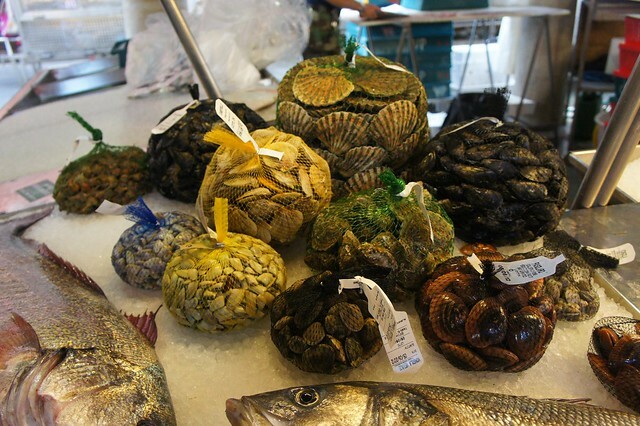 Alongside your ombra (a small glass of wine) or Spritz (Venice’s reigning cocktail), make sure you sample some fabulous cicchetti, the Venetian answer to tapas. Though most bars in Venice offer an aperitivo hour (or, more accurately, hours), for your first experience head to the heart of Venice, Piazza San Marco. The area around San Marco is thick with excellent cafès, including the city’s most famous: Harry’s Bar. A Venetian institution once frequented by Ernest Hemingway and other luminaries, stop in for a Bellini (prosecco or sparkling wine and peach nectar), invented and made famous by Cipriani here. If the tourist crowd at Harry’s Bar is too much, Al Bancogiro (San Polo 122, Campo San Giacometto) near the Rialto bridge is a favorite alternative. You wouldn’t visit Paris and skip the Eiffel Tower. You wouldn’t visit India and neglect the Taj Mahal. So how could you possibly not indulge in the most iconic of activities in Venice? 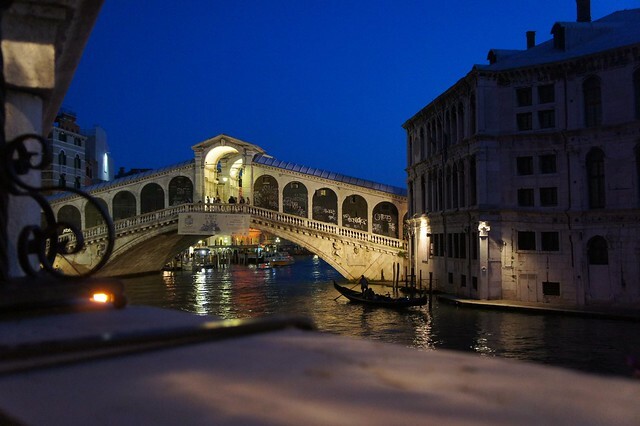 Though it can be pricey, there is nothing like floating through the tiny Venetian canals as the gondolier sings, the sun sets, and the moon begins to rise over the lagoon. 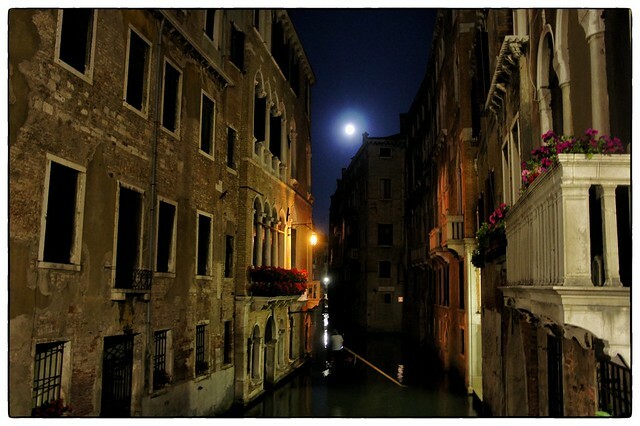 But don’t linger too long; Venetians tend to dine early and getting served a late dinner is sometimes tricky! Just in case you haven’t yet fully absorbed the symbiosis between Venice and the sea, an excellent dinner from the catch of the day may bring it home. 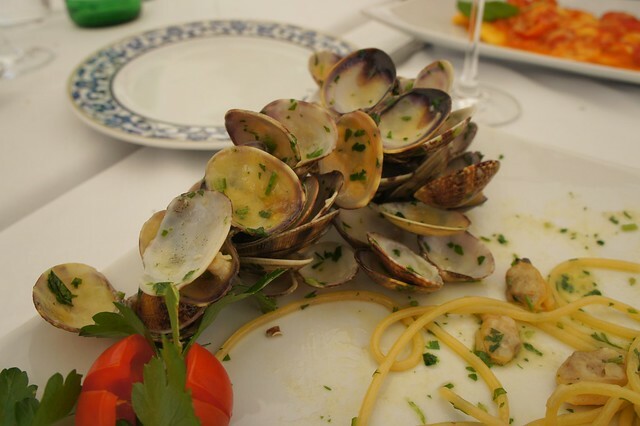 Try the gourmet Al Covo (Campiello della Pescaria, 3968, Castello) where the menu of local seafood often features innovative twists on traditional Venetian classics. Otherwise, the intimate and somewhat hidden Antiche Carampane (Rio Terà delle Carampane, Rialto) is a favorite. After dinner, tipsy on food and romance, meander your way along the picturesque canals and winding calle back to your hotel. 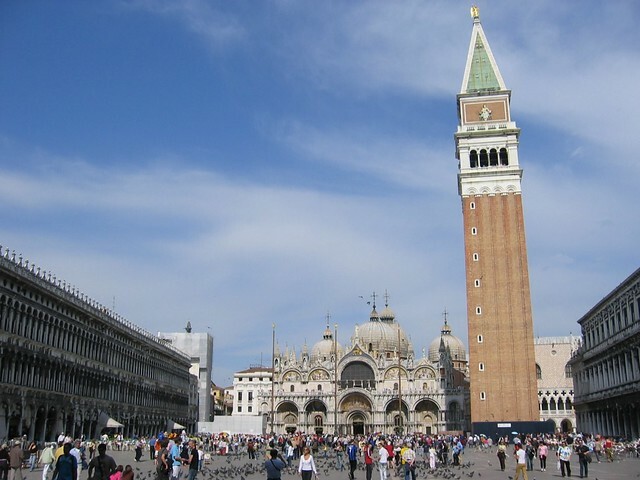 You lingered in Piazza San Marco yesterday for cocktails, but on your second visit you will be touring the square’s most famous monuments: Saint Mark’s Basilica and the Doge’s Palace. The sumptuous Byzantine Basilica di San Marco—the style reminds visitors of Venice’s historic importance as a trade port and cultural crossroad between the East and West--is one of the most famous churches in Italy, known for its spectacular mosaics covering much of the inside. The Basilica has only been open to the public since the early 1800s, as for centuries it was a private church accessible only to Venice’s Doges (the rulers of this historic city-state) whose palace is adjacent. Once the residence of Venice’s ruling Dukes, the Doge’s Palace (Palazzo Ducale) dominates the Grand Canal with its intricately porticoed facade. 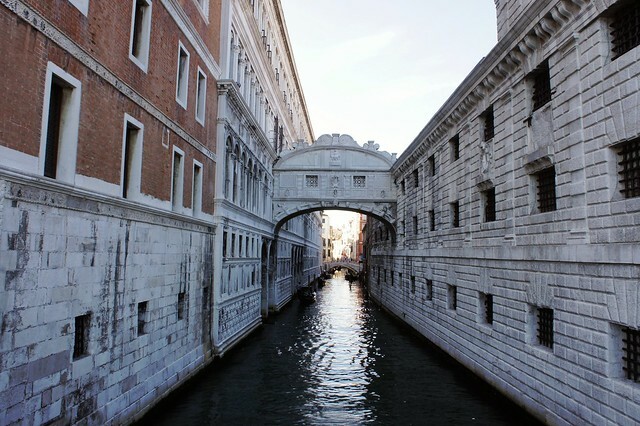 The Palace also housed the city-state’s courtroom, and sentenced prisoners would cross the tiny “Bridge of Sighs” which led from the Palace into the prison across a narrow side canal, catching their last, sad glimpse of the city through the bridge’s tiny window. Visitors can still retrace their steps, though their view of Venice from the Ponte dei Sospiri will not be their last. You’ve spent the morning shoulder to shoulder with Venice’s throngs (to avoid a long wait at the Basilica and the Doge’s Palace, book a private guide! 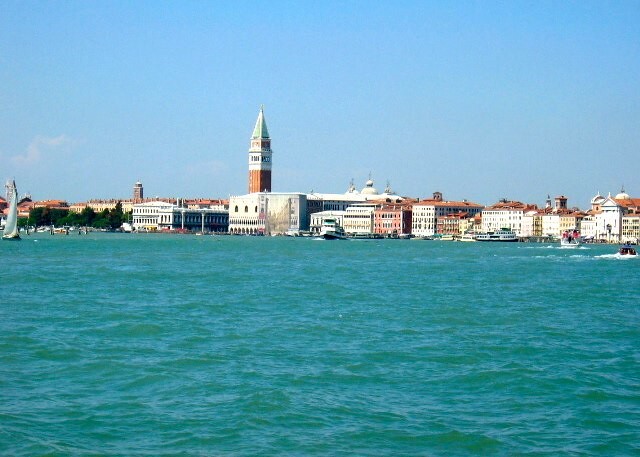 ), so for a bit of peace and quiet take the private launch to the luxurious Hotel Cipriani on the tiny island of Giudecca, across from San Marco. Here the complex’s more informal Cip's Club dining room is cozy, and the view of San Marco from the outdoor deck is worth at least half of the rather steep price of lunch. 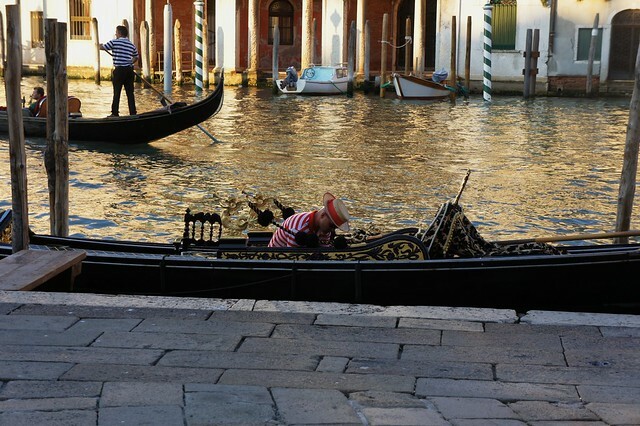 Venice is known for gondolas and glass. You’ve checked off the first so now it’s time to visit Murano, island home of the second. You can visit artisan workshops in this center of Venetian glassmaking to see how the molten glass is blown and shaped, shop at the boutiques selling their exquisite creations, and stroll the island at your leisure. You’ve had a day packed with the best Venice has to offer for the eye, so you’ve earned the best the city has to offer for the palate. Reward yourself with an elegant meal at Osteria da Fiore (San Polo Calle del Scaleter, 2202, San Polo)—not to be confused with the osteria Fiore in San Marco-considered by many to be Venice’s finest restaurant. Otherwise, the Trattoria Do Forni (San Marco, Calle dei Specchieri 468/457) is a famous local spot divided by decor into the Orient Express side and the Venice side, the former decorated to look like an Orient Express train car and the latter featuring strolling accordion players and other boisterous entertainment. After dinner you will visit one of Venice’s crown jewels: Teatro La Fenice. One of the most famous theaters in Europe, this historic opera house lives up to its name: La Fenice means The Phoenix, and this dazzling space has burned to the ground and been rebuilt three times since it opened in 1774. The last fire was in 1996, and the newly reopened theater—done in an elaborate 19th century style—has been the subject of much debate. You be the judge while enjoying a performance of opera, ballet, or classical music in this fabulous venue. If no performances are scheduled, the theater is open to the public daily until 6 p.m., so opt for a pre-dinner tour, instead. On your return walk back to your hotel, try to retrace your steps past some of the sights you visited earlier in the day. Piazza San Marco, the Basilica, the Doge’s Palace, and the Grand Canal are truly magical (and significantly less crowded) by night. Your past two days have been spent savoring the most well-known and beloved sights in this gorgeous city, but your final morning will be dedicated to getting a glimpse of La Serenissima’s lesser beaten paths. From an exclusive tour of the sumptuous private palaces of Venice, for which some of Venice's oldest families open their historic palazzi for your private visit accompanied by an expert local guide, to a walking tour of Venice’s historic Jewish ghetto, including private visits to three stunning synagogues, to an early visit to the Rialto fish market followed by a lesson in how to prepare traditional Venetian seafood dishes . . . take this morning to choose what captivates you most about this city rich in history and culture and delve a bit deeper. Venice may be thick with visitors, but you can hold your head higher knowing that you’ve seen a side of the city hidden from view to most...and already begin thinking about what other secret sides of this mysterious city you’d like to uncover on your next visit!